Groundhog and Groundhog Hat Fun! 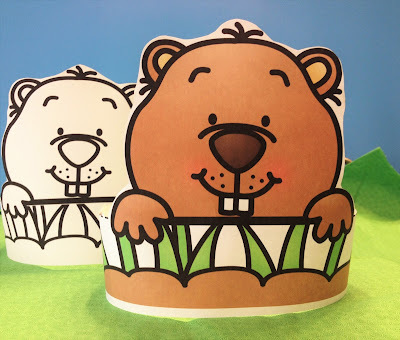 Here is a printable groundhog craft for your students. Let your students participate in their own Groundhog day festivities this February or during your groundhog science unit. The groundhog hat comes in color and black and white. This is a simple groundhog day activity for all ages. Hope you have fun with your groundhog hats.